Madagascar is a 2005 movie about zoo animals that leave the zoo in search of experiencing life in the wild… well, at least one of them. Marty, a witty yet disenchanted Zebra, sneaks out of the zoo in search of the wide-open spaces he sees depicted on the mural painted in his space at the zoo. His friends, Gloria the hippo, Alex the lion, and Melman the giraffe, leave under cover of night to search for their friend on the streets of New York. Through a crazy chain of events, they end up getting caught, along with some escape-minded penguins and monkeys, and shipped to a zoo across the country… but they never get there. Instead they end up where Marty wanted to be all the time… the wild! 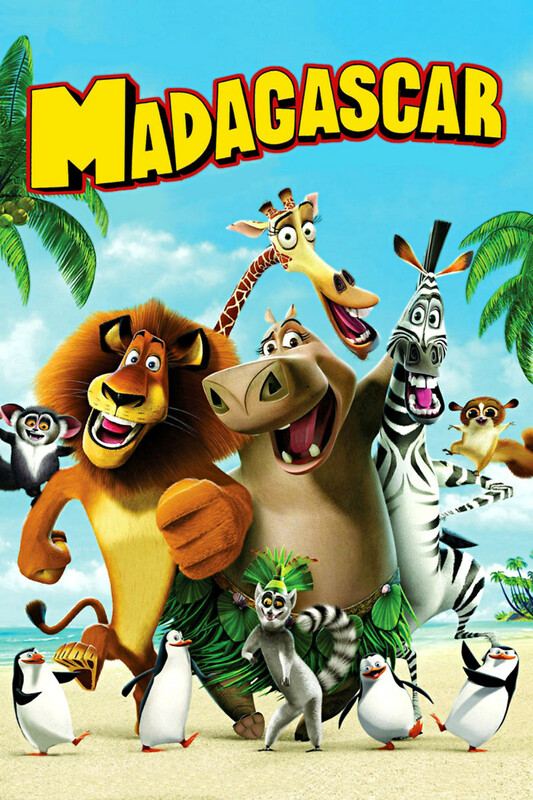 Madagascar is a lighthearted movie about friendship and the concept of home that both children and kids will enjoy.